When a senior at Cohen College Prep finishes their classes for the day, they then have three minutes to get to marching practice. And this isn’t a typical “marching band” that many may think of with just instruments and band members. This is a “marching unit,” which consist of drill team, cheerleaders, the band, and the flag team. All of these different groups come together to be one unit, and even though this looks like an ideal family, it is actually an extracurricular activity that can lead students away from their overall goals. Throughout their years in high school, students are part of a lot of activities, but senior years is the most important year. College applications, standardized testing, intense school work, and outside jobs all come to a head at the end of high school. With all of this happening, marching can easily cut into all of these activities and distract the student. In the marching unit, seniors have to stick to a very strict schedule. The marching practices last for about three hours, and these happen on a daily basis (with the exception for Friday). Yet, don’t be fooled, Friday nights are not free nights,; they are game nights, and Saturday often lends itself to another practice, so both the weekend and the week are dedicated to marching. 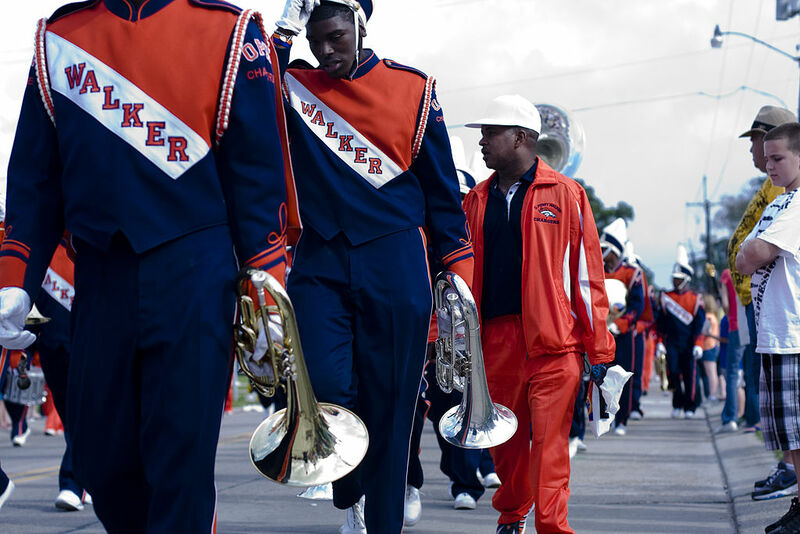 Games require marching members to arrive at 1:00 PM in order to prep, get ready, and practice before the game starts. Then, the unit performs throughout the game. But, when the game is over and the players all go home, it’s not over for the marching unit. With students being minors, there are many rules that are put on them. For instance, a member of the marching unit cannot leave the game when it is finished, they must return to school first. During that time, there is no talking to any outsiders, and even if the unit member lives blocks away from the stadium, they must ride the bus with the others and get picked up from the school. As Jordyn Smith, a previous senior at Cohen and a captain of the dance team explains, “Nobody has time for this.” She says this with anger in her eyes as she further explains, “I just want to go home. I’m tired.” These words come after finishing a long night of dancing and cheering on the team for hours. This feeling of “we have no time,” is a feeling that many senior in the marching unit feel. That’s because as soon as they get home from a game or practice, they then have to return home to homework and college prep work. Plus, this is just regular nights and weekends. There is also the beloved and dreaded time in the spring — Mardi Gras. During Mardi Gras, Cohen alone marches five parades back-to-back. This is in the rain, the cold, and at night. Other times, it is when it is hot and marching members are covered in long-sleeve shirts and sweating non-stop, but because there’s an audience, the show must go on. Mardi Gras nights usually end around 11:00 PM, sometimes moving into 12:00 AM, and then the next day, the students have to be at school as early as 8:00, ready to work (again!). Nicole Young, the former executive director at Bard Early College, talks about the importance of time management when it comes to being a high school student, an early college student, and a student who participates in extracurricular activities. Although students may miss class for a good cause, they will fall behind, and this can jeopardize their futures. So, with all of these complications, it could leave someone wondering why a student would even want to march. For one thing, a lot of these students have been marching their whole life, beginning band as young as five years old. On top of that, marching is a way to keep students on track, even though it is a lot of work. Quite often, it can even keep students out of trouble because when students join marching band, they learn discipline. They have to learn that there are consequences, such as squats, frog jumps, and running stairs for being late, dropping your stick, cursing or being disrespectful. Beyond the discipline the marching unit instills, the students also get an opportunity to be leaders of their team. That means they get to learn about their team rather than just themselves. That unit is like a family for a lot of these students. If one person does something remarkable, it doesn’t count as much, but when the whole team looks good, it’s jaw dropping. Everyone is on beat, the band is loud, the flags are swinging, batons are twirling fast, the dancers are stomping, the cheerleaders are screaming, and the crowd is on their feet, trying to yell louder than the band. Let’s be honest, though, no one is louder than the marching band. But, it’s important not to forget that as beautiful as this loud, young, and vibrant family is, seniors have to take care of business because they can’t march forever. If they are not planning to be in a band in college, then they need to put their focus on getting into school and their grades being the best that they can be. Not to mention their mental health since all of these expectations can be stressful and even cause anxiety or depression. So being in a marching unit can create memories for a lifetime, but it can also take away from what seniors really need to have on their mind — graduation and their future. 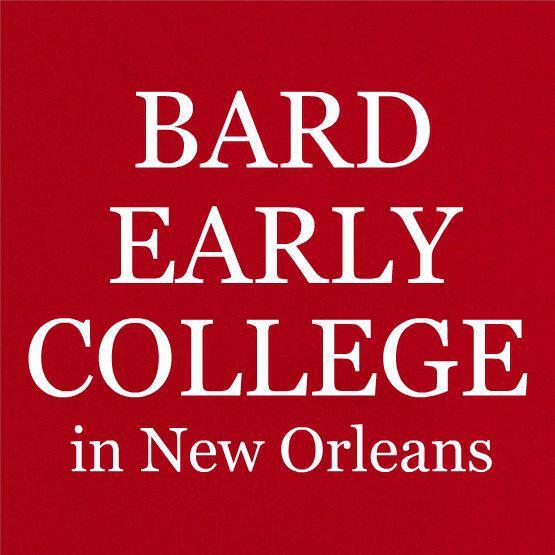 Rennell Clark is a Bard Early College and Cohen College Prep High School graduate.